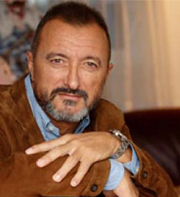 Fifteen years ago, one of Arthuro Perez-Reverte's most revered works was translated into English for the first time. While it wasn't his first book, it was one of his most original and one of the few set in a contemporary time, with only a hint at his passion for the romantic 17th century. This, of course, comes from the book's namesake, Alexandre Dumas, author of The Three Musketeers. And anyone who has enjoyed the serial work of Dumas was drawn in when the novel was first published. "They have betrayed me, he murmured. "All is known." "All is known at last," answered Parthos, who knew nothing. The Club Dumas is an inventive suspense thriller. 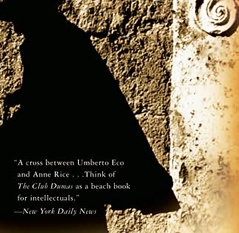 The Club Dumas is an ambitious novel despite its straightforward opening. It is the story of an antiquarian book hunter called in to authenticate a manuscript, the original chapter forty-two of The Three Musketeers, handwritten by Alexandre Dumas. The manuscript itself, in fact, had supposedly been purchased from the very man who now graced the front pages of every newspaper. But appraising this impossible find is not the only task Lucas Corso has undertaken for an employer. He is also searching for an equally improbable find: The Book of the Nine Doors to the Kingdom of Darkness. The book itself is made up for the story, and published by a character named Aristide Torchia, who was burned at the stake in 1667. But some say Torchia is based loosely on the famed Giordano Bruno, who published several controversial books and was burned at the stake in 1600. It is such loose ties to historical fact that makes The Club Dumas all the more intriguing, assuming someone wants to look beyond the book. And some people do, because Perez-Reverte does't tie up every loose end nicely. He leaves them dangling. Some of what he does include, however, might be enough to convince anyone that there may very well be links between a secret society of antiquarians, the occult, and ninetieth-centurary pop fiction. You may even feel like there may be men who are pursuing an ancient tomb said to be able to summon the devil, today. Or maybe not. The magic of discovering it is mostly made worthwhile through the eyes of a well-developed and likable skeptic. Corso doesn't believe in the connections he stumbles across until he feels that he has no choice but to accept them. All the while, as he races to uncover the mysteries that link Dumas and Torchia together, other book collectors are being murdered too. And, at times, it is difficult to discern which plot thread causes their murders. The Club Dumas as an early entrant to intellectual mystery genre. It is an interesting side note to mention that The Club Dumas predates The Da Vinci Code, which has now become the bar for the modern intellectual mystery genre. Keep that in mind while reading this book because while many people try to compare them, they are not comparable. The Club Dumas is filled with many more red herrings, dead ends, and a propensity to sweep dirt toward literary purists, even if Perez-Reverte's writing is inconsistent in the telling. He tends to shift back and forth between a literary work and a detective novel, which is due in part to the translation. More importantly, this novel was an early entrant into the category, even if that term is probably not the best descriptor for it. It doesn't have the same detailed historical depth as those that fill the category today. 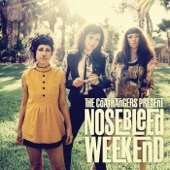 However, it is still entertaining and there are researchable tidbit scattered throughout. There is something else too. The Club Dumas will be enjoyable to some simply because so many underrate it. Those who hate it, for example, point to the anti-climatic end, the lack of historical depth (as mentioned), and the irritating moment they learn the author is a trickster. But those who do appreciate it regardless, recognize that there is some craft in the dupery, enough so that they may laugh at themselves for connecting dots that don't connect. And maybe that is the point. Like Lucas Corso, Arturo Perez-Reverte was an obsessive investigator. Few, if any, have drawn the conclusion that The Club Dumas is as much as about a man who becomes obsessed with the unraveling plot before him as any other definition. And in that regard, protagonist Lucas Corso shares a similarity with Perez-Reverte beside being known for for their abrasive personas. Perez-Reverte was a war correspondent for more than 20 years, which comes with its own appetite for chasing down leads, uncovering conspiracies, and connecting dots whenever they would appear. But like any veteran investigator eventually learns, not all theories, investigations, and observations lead somewhere. Sometimes they do, but an equal number are illusions that they themselves create. For a more literal version of the book, there is always the cult film that is very, very loosely based on it. The Ninth Gate, directed by Roman Polanski, takes a much less heady approach to the storyline. He turns it into a menacing, slow-paced mystery thriller with the atmosphere of a horror flick. It's also one of Johnny Deep's most under appreciated roles. The Club Dumas Summons Up A 6.8 On The Liquid Hip Richter Scale. If you want to read the book, don't break ground with the film. Although the film warrants a separate review, people who see it will be even more confused by the novel. The reason is simple. The film creates links that were written in and never intended in the novel, while ignoring others outright. 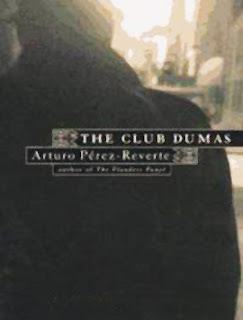 The Club Dumas by Arturo Perez-Reverte is available at Barnes & Noble. 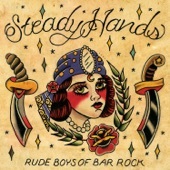 You can also find The Club Dumas on Amazon. 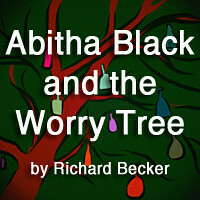 It is not available on iBooks, but there is an audio version on iTunes read by David Warner. Warner is good pick for the read, lending to the atmosphere of the story without muddling it up with too much accent. It's a great match in that the reading adds consistency to the story.